The model is part of the United States' developing efforts to regulate the wind-energy industry. Researchers at the United States Fish and Wildlife Service have honed a mathematical model for predicting how many eagles a planned wind farm will kill. It might be morbid, but it&apos;s a piece of science that will play a crucial role in regulations meant to save the soaring birds, which are specially protected under the Bald and Golden Eagle Protection Act. The numbers the mathematical model spits out will go into permit applications to decide whether wind-energy companies are able to build the facilities they want, and what regulations they may face. 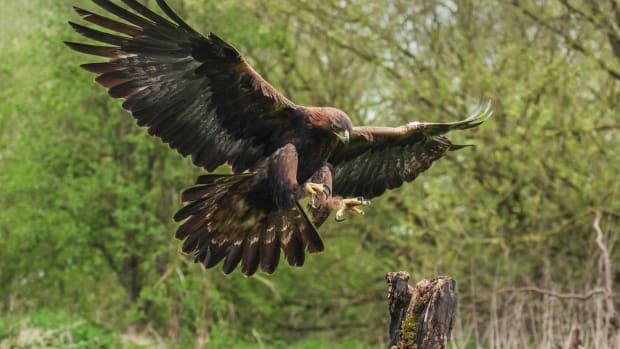 The idea behind the model is that if a company wants a Fish and Wildlife Service permit before it builds a wind farm, it must submit a science-based estimate of how many bald and golden eagles it will kill each year. Preferably, that estimate will come from this model, says Leslie New, a statistician who worked on the eagle-kill math while employed by the U.S. Geological Survey. She and her team publicly published the details of their model this month, in the journal PLoS One, though the model has been in use for a couple of years. Based on a company&apos;s eagle-kill estimate, the Fish and Wildlife Service will issue a permit for how many of the birds a wind farm can kill before it faces fines. If a company estimates it will kill too many eagles, the government might make it pay for projects meant to offset the deaths, or deny it a permit altogether. So far, the government has sued two wind companies for eagle deaths, to the tune of millions. If a company estimates it will kill too many eagles, the government might make it pay for projects meant to offset the deaths, or deny it a permit altogether. "Oftentimes, the gut reaction of people, when they&apos;re looking at all the requirements and predictions is, &apos;It&apos;s a lot of money upfront,&apos;" says New, now an assistant professor at Washington State University–Vancouver. "But we don&apos;t want eagles to go back on the endangered species list. That will cost the facility more" than complying with permitting rules. Overall, the U.S. regulations keeping wind turbines from killing too many protected eagles depend highly on industry self-reporting. That&apos;s par for the course for a governmental department that doesn&apos;t employ enough people to regularly inspect the country&apos;s wind farms, Fish and Wildlife Service officials say. Conservation groups worry, however, that self-reporting isn&apos;t enough. The Fish and Wildlife Service expects companies applying for permits to gather the data that goes into the model and run the model themselves. 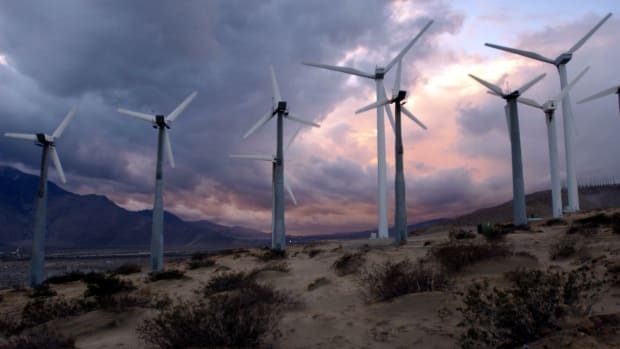 "We do have an issue with that because it&apos;s conflict of interest," says Michael Hutchins, director of the American Bird Conservancy&apos;s wind energy campaign. "We&apos;ve seen plenty of examples where the wind industry downplays the potential impact on birds or bats in order to try to get their projects approved." He cited the example of a planned Minnesota wind farm that, in 2013, state agencies ultimately shut down after locals documented eagles flying through the proposed site. The company had originally said the site didn&apos;t have any eagles, Hutchins says. Brian Millsap, a Fish and Wildlife Service senior staffer who advises the service about birds of prey, says the service will catch problems when it reviews applications and their accompanying data. "We have a lot of experience in evaluating that kind of information and when we see things that don&apos;t add up, we catch them," he says. "We&apos;ve seen plenty of examples where the wind industry downplays the potential impact on birds or bats in order to try to get their projects approved." Data about whether wind farms violate their permits will often also come from the farms themselves. The American Bird Conservancy considers that a conflict of interest, as well, Hutchins says. The service reserves the right to inspect farms, but likely won&apos;t unless it has reason to believe there&apos;s wrongdoing, says Clint Riley, an assistant regional director with the Fish and Wildlife Service. That&apos;s how most wildlife protection laws work, he notes. "When people are hunting ducks, we don&apos;t go to their house to check their refrigerators to see if go over the limit. If the game warden notices something in the field, or somebody reports something, then we check." The new eagle model is just one part of a maturing effort by the U.S. government to regulate the wind industry and protect the wildlife that live on wind farms. 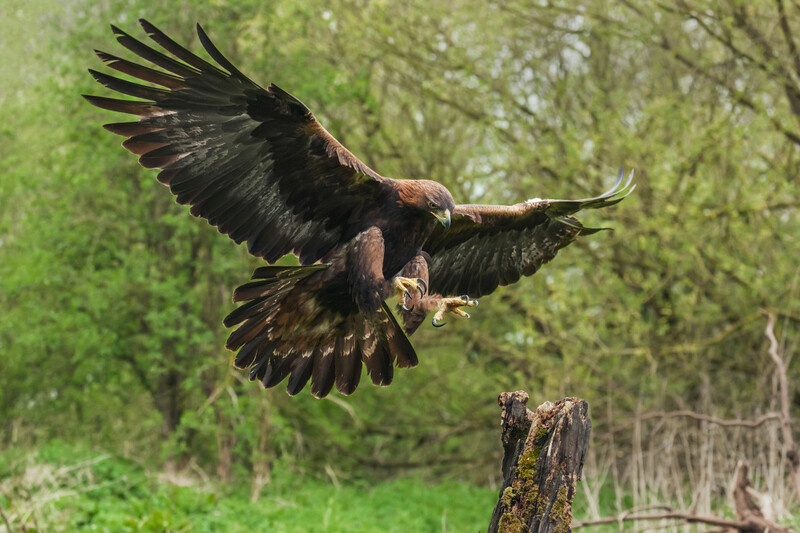 Besides the Bald and Golden Eagle Protection Act, wind farms may also be subject to other wildlife protection laws, such as the Migratory Bird Treaty Act, for which they might have to do other modeling and kill estimates. In the July/August 2015 issue of Pacific Standard, journalist Gabriel Kahn described one Wyoming wind farm&apos;s efforts to learn about the eagles and sage grouse—another protected bird—it might affect. Right now, only one wind farm in the country has a so-called eagle take permit. As of four months ago, 25 more permit applications were somewhere in the pipeline, Millsap says.